Hi friends! If you are on this page then I assume you are probably either a craft blogger (or want to be!) or a craft business person (maybe you want to or have already opened a shop selling either craft supplies or your handcrafted items). I hope that the few articles about craft blogging tips and business I’m sharing here are helpful to you. Let me know if you have any particular questions that I may be able to answer. I am not an expert by any means, but I am always ready to offer what experience I have. So what is my experience actually? I have been selling my quilled jewelry online since 2010. I started on forums, then a blog, and soon on Etsy. I started a quilling blog to showcase my handmade quilled products. I expanded from Etsy to sell on a couple other online marketplaces as well, but the biggest has always been Etsy. Now it is split between Etsy and Zibbet. 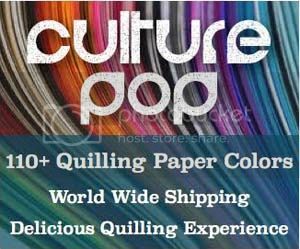 In 2012 I started selling paper quilling supplies and I opened a separate free standing online store for that. It was a lot of work and I learned a lot! 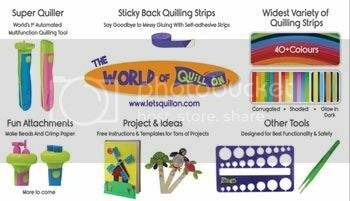 In 2013 I opened a new quilling blog, self hosted this time, where I could share things like tutorials. It has blossomed and grown and I love it so much! I have read oodles of information about blogging, craft blogging, business blogging, advertising on blogs, and SO much more. I have implemented many of the things I have read, while others are still on my to-do list. The posts I share here are based on questions that I get from readers. I hope that they help, and if you have any questions I’ll be happy to answer them via e-mail or in a new post! Learn the basics of how to get wholesale supplies once you have already set up your online shop. An online marketplace can be a smart option for opening an online shop. Here are some pros and cons as well as descriptions of the online marketplaces that I have used. Setting up an online craft shop – part one! There are several choices as to what type of website to have for your online shop. A review of how the blog did in 2014! Here are some tips I’ve learned along the way to take good photos of my paper quilled jewelry! These tips are great for any product photography.